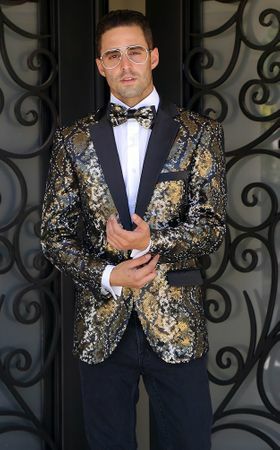 Get on stage and sparkle in the spot light just by wearing python pattern sequin blazers by Manzini. Featuring style that is designed in Italy and style that will get you noticed like nothing else. This particular Manzini blazer comes with the matching bow tie as shown.